Posted by Dave Emory ⋅ September 26, 2017Post a comment Email This Post Print This Post Tweet This! Introduction: The program begins by setting forth possible mind control connections to some of the “persons of interest” in America’s major assassinations. De Mohrenschildt had apparently been a Nazi spy in World War II, working with North American Abwehr chief Baron Hugo Maydel during the war. De Mohrenschildt had been one of Oswald’s handlers. De Mohrenschildt had apparently come to have regrets about the killing, and had been writing a book about the conspiracy, according to Dutch author Oltmans. After giving voice to his regrets and reservations and apparently naming CIA and FBI personnel allegedly involved in the conspiracy, De Mohrenschildt was interned in a psychiatric hospital, where he appears to have been subjected to various forms of mind control. His daughter Alexandra opined that De Mohrenschildt shot himself to death after receiving a phone call, which she believes contained a hidden cue that triggered his conditioned suicide. There were fundamentally different analyses of Sirhan from Dr. Bernard Diamond and Dr. Edward Simpson. Simpson noted that paranoid schizophrenics are virtually impossible to hypnotize. The available evidence suggests that Sirhan was under mind control and that the focus of that conditioning was to propel him into self-incrimination. Confirmed that the killings of the Kennedy brothers and Martin Luther King were acts of state. He opined that the assassins would have received medals. Confirmed that the country had experienced a fascist coup, with the country being run by a relative handful of interests, with the military in charge. Asserted that many operatives in the military and intelligence community worked both for the federal government and for powerful corporations, helping to steer policy in the directions preferred by the corporations and, ultimately, retiring with both federal and corporate retirement benefits. Confirmed the operational use of mind control in covert operations, as well as aspects of larger military operations. Maintained that assassins did not need to be subjected to mind control to direct them to perform their missions, but that mind control was necessary to keep them from remembering what they had done. 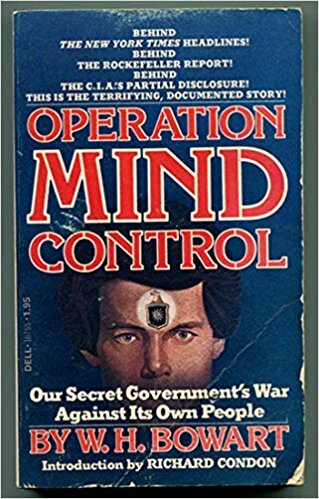 Asserted that, because critical functions in the high-tech, nuclear state were performed by enlisted personnel, mind control was necessary to keep them from remembering what they had done. The Patriotic Assassin asserted that commissioned officers were dependent on the benefits attendant on that level of service after retirement and maintained that this was sufficient motivation to maintain silence. 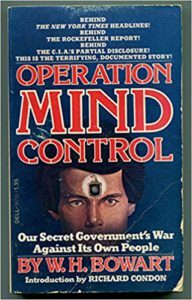 Commented that the oft-repeated claim by intelligence agencies that mind control “research” had been discontinued was a veil for the fact that it was fully operational. Foreshadowed a largely-overlooked and possibly abortive assassination attempt on Jimmy Carter in 1979. Carter had stated that he thought the assassinations of President Kennedy and Martin Luther King had been the result of conspiracies. Shortly afterward, two men were arrested in Los Angeles, after crossing into the country from Mexico to murder Carter. The names of the conspirators were “Ray Lee Harvey” and “Oswaldo Ortiz”–reminiscent of the names of James Earl Ray and Lee Harvey Oswald, the patsies for the murders of JFK and Martin Luther King. charges. It will be interesting to see how mainstream and progressive media handle these twin developments. Trump and his anti-immigrant and racist dead enders? Christhian Rivera pursued the jogger in his black Malibu SUV, ran beside her then abducted the young lady. intersection with the dead student’s bloody body in his car. Authorities say he carried the body into a cornfield and covered her up. He led police and FBI to the exact location. to 1 am) than the timeline which initially reported her disappearing between 7:30 pm and 9 pm. Trump rides out the bad news from the courts by exploiting the murder of a pretty white college farm girl.